Help users make clear, concise decisions by providing message-based menus and buttons. Decision trees and workflows ahead. FlowXO gets the response, but it seems FlowXO only gets the name of the menu in the response (“games_list” is the sample json at the link above), but not the actual item selected (e.g. “war”). Any ideas on how I might be able to use FlowXO to interact with these menus? My hunch is that the Data Outputs holds the answer here. It may be that you’re missing an underscore to grab the nested data that you need. After selecting an option from the menu, a message “games_list” gets triggered in FlowXO, but the additional data under “options” in the data is not passed. I’m guessing FlowXO is ignoring that additional data in the request… is there a way to access that raw json getting sent from Slack? Or perhaps you could allow the flow to receive the whole thing? This is a bit delayed, but I was curious if anyone ever figured out if it was possible to use this with Data Output formatted a specific way. I did a bit of experimenting myself and always saw the same behavior. Thanks. 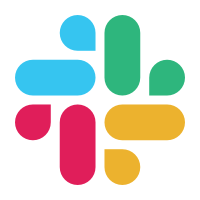 Unfortunately the response back from Slack only includes the item name and not the value (that we detect). 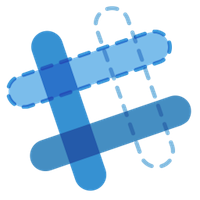 A potential workaround could be to set the Interactive Message URL in the Slack app to another service or to post back into another flow (webhook trigger) to handle the raw JSON. how to get some message after selecting one from the menu-list i have been trying not getting it? Are you using shortcuts from a ‘Send a Message’ action or using the ‘Ask a Question’ action with choice values?